The 9 Genders Archetypes is a skills based approach to gender. 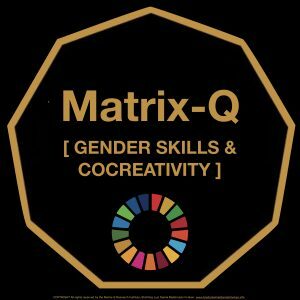 The Matrix-Q 9 Genders Archetypes is an inclusive model which suggests all skills, gender roles, sexual preferences and their respective life styles to have intrinsic value, as unique expressions of human kind. 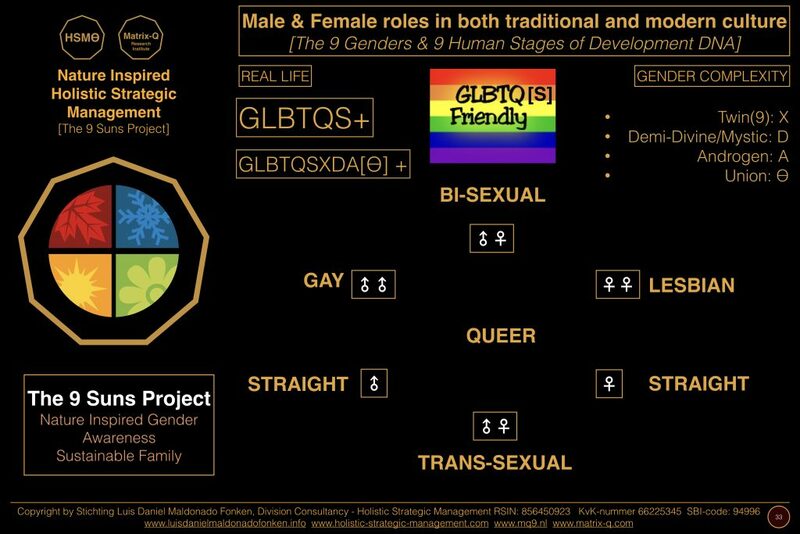 Communication, collaboration, cocreativity, emotional intelligence, learning and leadership skills are the essential focus of the training program on 9 Genders Skills. 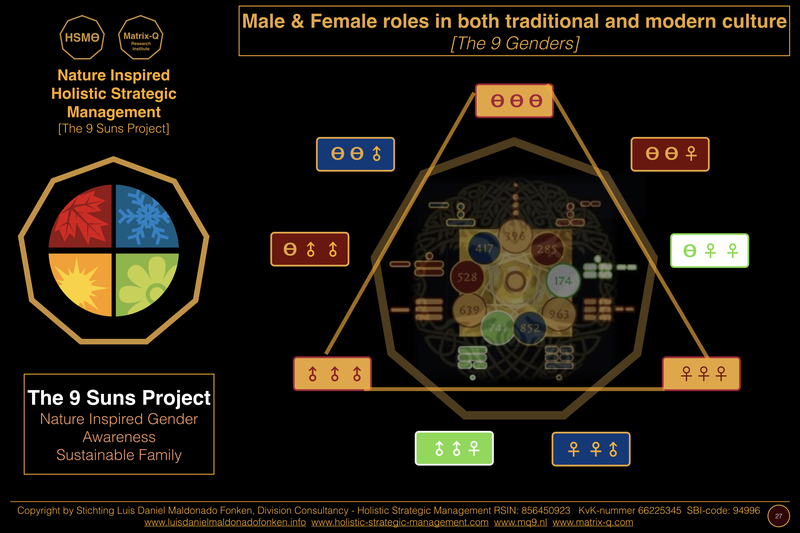 The Matrix-Q Tool for generation of archetypes suggests a set of 9, 81, 324 archetypes with associated sets of skills, traits and behavior; which has been correlated to the 9+ Stages of Human development and the 9+ Stages of Capacity of Collaboration and Love, 9 classes of emotional intelligence skills and studied in a 9 levels of impacts or influence individuals may take roles on, as for Matrix-Q Systemic Matrix. 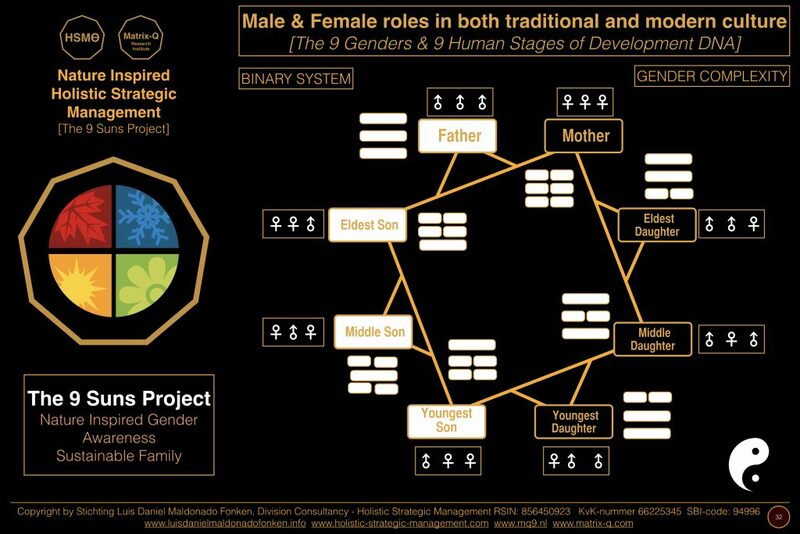 A second use of the 9 Genders model is that of perception and organization on human phenomena, from the point of view of gender roles and sexual preferences, providing accordingly set of archetypes. 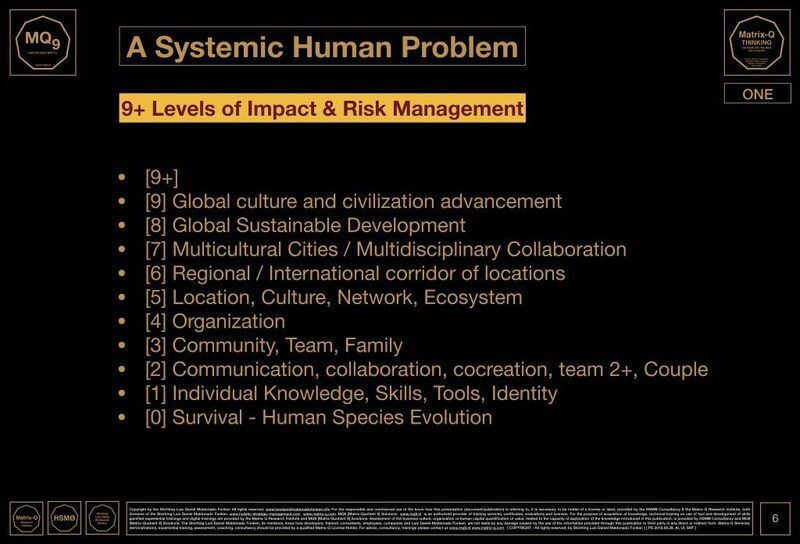 The model also suggests that a precise sets of skills is one of the achievements of each archetype and there for an asset, strength or weakness, as for their capacity of solving challenges and leadership with effectiveness.